The way site feasibility is conducted has changed over the years. The practice of mailing paper questionnaires and manually reviewing paper results is obsolete -- even emailing surveys has become outdated. Sponsors have transitioned to cloud-based, site feasibility solutions, but many have found that not all cloud-based solutions can handle the complexity of the cutting edge research being done today. To get the best results and value, while improving the investigator’s experience, sponsors should use a cloud-based solution specifically designed for site feasibility. Site feasibility is the process of evaluating whether a particular clinical program/trial can be conducted in a particular hospital/clinic.1 It is a very important part of the clinical trial process. It is more than just the starting point of the clinical trial; the selection of appropriate clinical sites will determine if the trial will succeed or fail to meet timeline and operational goals. A major challenge in site feasibility is the ability to find sites that can meet the enrollment requirements. It is estimated that 41% of sites are unable to enroll the number of participants that they planned to enroll in a clinical trial. Another challenge is for sites to enroll the expected number of participants within the trial timelines. In a CenterWatch study, it was reported that more than 90% of clinical trials did not meet the originally planned timeline.2 These issues are very costly to sponsors. The ability to meet enrollment goals is not the only indicator of a good site; finding sites that do not have issues in compliance, data quality, or oversight is also important. How do we find suitable sites? Are the methods and solutions we are using to make selections the right ones? The traditional way to conduct site feasibility was via paper. This process involved a sponsor creating a questionnaire and sending that questionnaire to potential sites by mail, fax, or email. The sites would receive the questionnaire, complete, and send back to the sponsor. This manual process came with its own set of challenges. Tracking responses: The sponsor would need to track all the sites that were sent the questionnaire. If sites had not responded, then the sponsor would need to follow-up with those sites via fax, phone, or email with each communication being manually tracked in a contact log. Managing responses: The sponsor would need to review and assess each response, sometimes using manual spreadsheets. This process was very difficult, prone to missing strong potential sites, and very time consuming for the sponsor. In the last 15 years, sponsors started converting to a process using online technologies including web portals and commercial survey products. There are many technologies that vary in features and price. Sponsors need to assess many areas to ensure the technology can effectively meet the needs of a strong site feasibility process. The ability to differentially weigh the importance of certain questions within the site feasibility questionnaire. By associating points to important or key questions, weighting allows for the sponsor to rank responses by score and allows them to focus on the higher scoring responses. The ability to pre-populate responses. Most questionnaires ask similar questions (contact information, etc.) and it is redundant work for the site to have to complete them for each survey. The ability to pre-populate past responses greatly enhances the user experience, reduces the time spent for the site to complete the questionnaire, reduces errors, and leads to more responses. The second area a sponsor must consider when selecting a solution is communications. As mentioned earlier, sponsors track all communications that are made to the sites. Some examples of these communications include initial invitation to the site and all reminders whether by email or phone. Having a way to track all communications automatically within the technology system (and input details of any communication that occurs outside the system) eliminates the need to track in separate spreadsheets and provides better visibility into all communications. The third area that must be considered is around Confidential Disclosure Agreement/Non-Disclosure Agreements or CDA/NDAs. Before a potential site can review the protocol synopsis and complete the questionnaire, they may need to sign the CDA/NDA to proceed. This process often includes mailing or emailing a hard-copy document to the principal investigator (PI) and having them sign and return it before they can be given access to the questionnaire. Completing this process online with a regulatory-compliant electronic signature mechanism greatly cuts down on the turnaround time to receive responses and makes it easier for the sites to proceed. Having a solution with an elegant reporting system is vital to organizing the information in a way that allows the sponsor to make the right site-selection decisions. First, it is important to be able to identify who has responded to the survey. Often investigators are interested in a study but are very busy and not able to respond right away, so the ability to track non-responders and send reminders is important. This helps to maintain a high response rate and ensure that a potentially good site is not missed. Once responses are obtained, the next goal is to organize information in a way that supports decisions about site selection. Given the large number of responses that a study team may need to review, it is important to be able to sort and rank the responses, based on the site characteristics needed for the study. This allows prioritization and identification of the most appropriate sites. One of the biggest challenges with feasibility reporting is misleading data. While the site feasibility survey is sent to is the PI at the site, it is very common for the PI to delegate the responsibility of completing the survey to a study coordinator, or for sponsor personnel to enter the data on a site’s behalf having received the data outside the system. This may cause the response to be associated with the person entering the data, rather than with the PI. When this occurs, the PI user record may still appear as non-responding, even though a response was collected on their behalf. An efficient solution needs to have the flexibility to handle these scenarios to avoid discrepancies in reporting and creating additional work for the sponsor. Cloud-based solutions can greatly improve the site selection process if the right technology is used. Understanding the unique challenges that site feasibility presents can help in selecting the appropriate technology. Choosing the right solution that is built with user experience and data reporting in mind can save time, allow the trial team to focus on other aspects of the trial start-up process, and ensure choosing sites that will be able to perform efficient and high-quality research. Jeff Barrett, MS, is Product Subject Matter Expert, Site Feasibility Application, ePharmaSolutions, A WIRB-Copernicus Group Company. Rajadhyaksha V. Conducting Feasibilities in Clinical Trials: An Investment to Ensure a Good Study. Perspectives in Clinical Research. 2010;1(3):106-109. https://www.ncbi.nlm.nih.gov/pmc/articles/PMC3146075/. Accessed April 21, 2017. Getz K. Enrollment Performance: Weighing the “Facts”. Applied Clinical Trials. 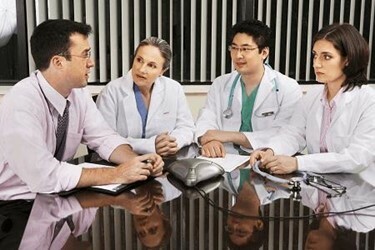 2012;21(5):1-3. http://www.appliedclinicaltrialsonline.com/ enrollment-performance-weighing-facts. Accessed April 21, 2017.